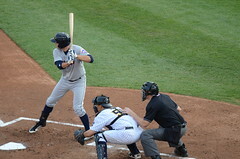 Last night in Buffalo Matt Harvey got hit hard by the Charlotte Knights in a 11-0 loss. Harvey gave up 6 runs in only 5 innings on 7 hits and 2 walks, although he did have 6 K’s. He threw 96 pitches, 61 for strikes. It’s a disappointing start for Harvey in his second audition for a spot in the Mets rotation after Miguel Batista was shellacked by the Dodgers yesterday. Here’s some video of Harvey’s post-game interview. It’s starting to become obvious that Matt Den Dekker will be playing center field for the Mets at some point this season. Let’s face it… Andres Torres and his .220/.331/.325 line is better suited as a bench player than he is in center field every day at 34 years old. Kirk Nieuwenhuis has played a solid center field but Den Dekker is better. And if Den Dekker can hit consistently like he has this season at Binghamton and now Buffalo, it’s a done deal. This season, between Binghamton and Buffalo, Den Dekker’s line is .333/.393/.562 in 249 at-bats. If he can play an outstanding center field, as he normally does, and make a contribution offensively at the big league level there’s no reason for him to remain in the minors. The Mets have several offensive black holes on their roster and Torres is one of them. 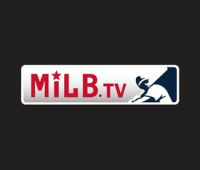 Check out the video below of Den Dekker’s first homer for Buffalo and ninth of the season last night in their 8-3 home loss to Pawtucket.